Today our friend Marit had a rare day off of work – I think she’s worked 19 days in a row or something crazy like that. So we thought it would be a good day for a happy hour on the water somewhere. 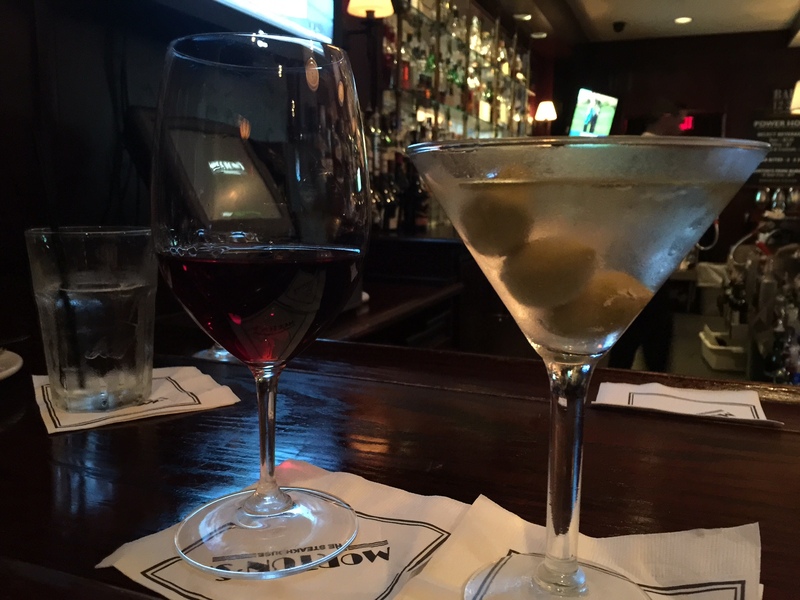 We decided upon a new place with a great location, Hudson at Waterway East in Delray Beach. 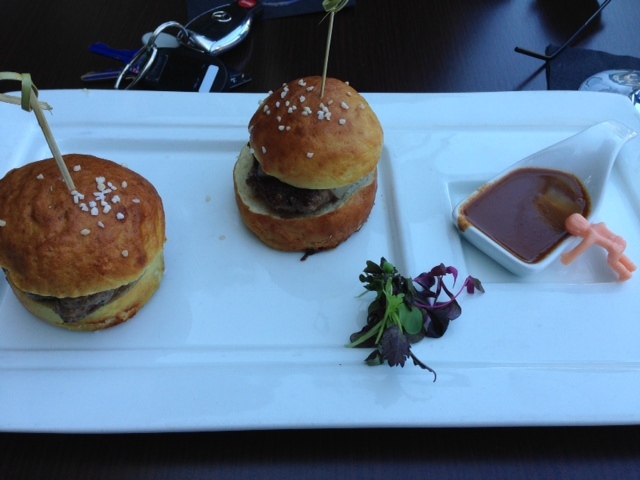 While waiting for Marit, Susan and I started off with the portabello fries and the lamb sliders. 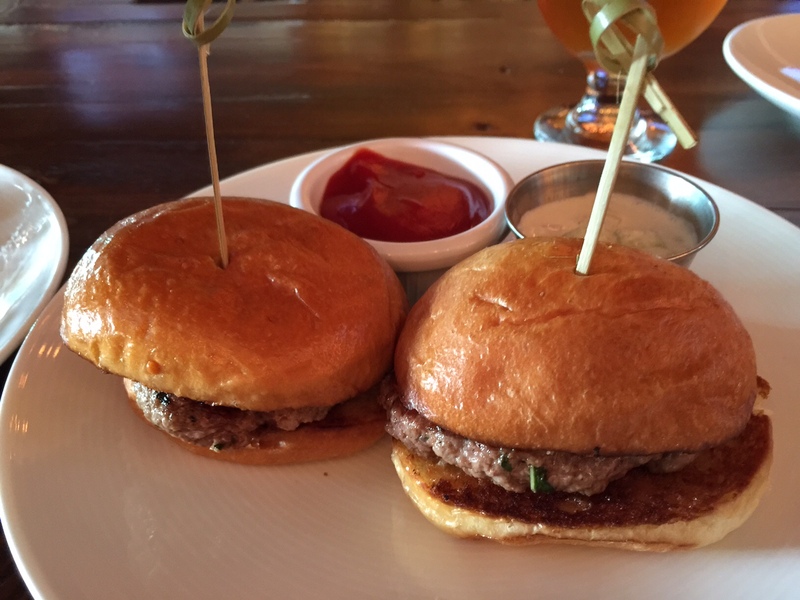 Both were pretty good – the fries had a nice breading and the sliders were topped with feta, basic, & mint and served with a tzatziki sauce. 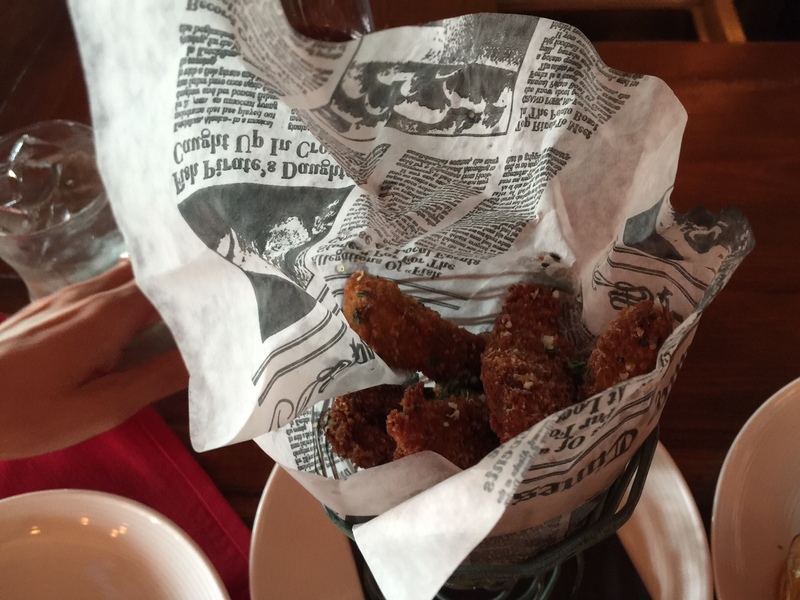 After Marit arrived, we ordered the crispy fried calamari and the Tuscan flatbread. 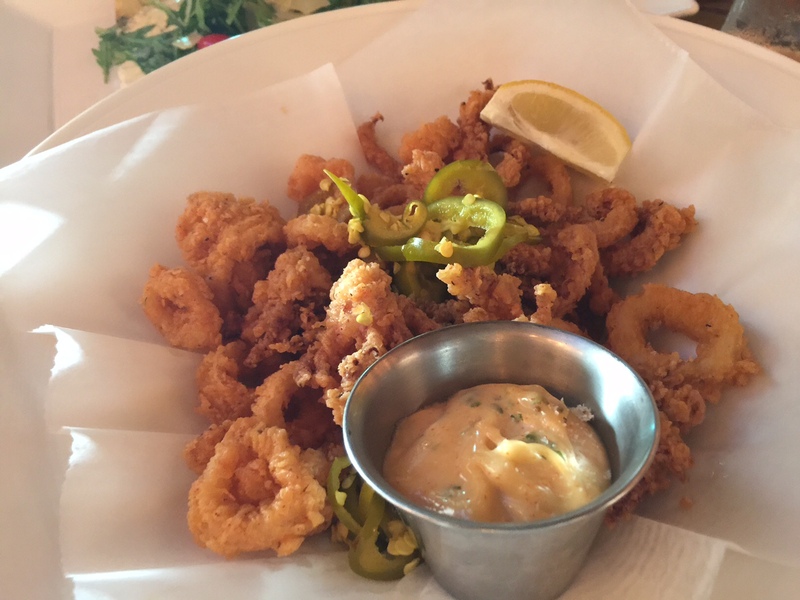 The calamari were topped with cherry peppers and were served with a lemon roumalade. 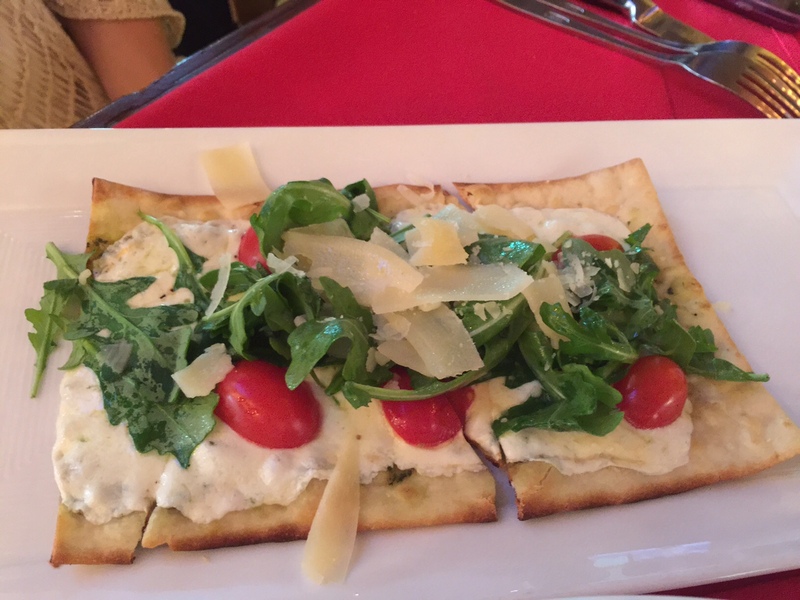 The girls’ favorite was the flatbread, made with a basil pesto, mozzarella, teardrop tomatoes, arugula, and lemon vinaigrette. The crowd was pretty steady, and actually got busier as the evening went along, which is not bad a for a Tuesday. Then again, with the great location on the Intracoastal and the perfect South Florida weather, how can you go wrong at Hudson at Waterway East? Oh what a day! 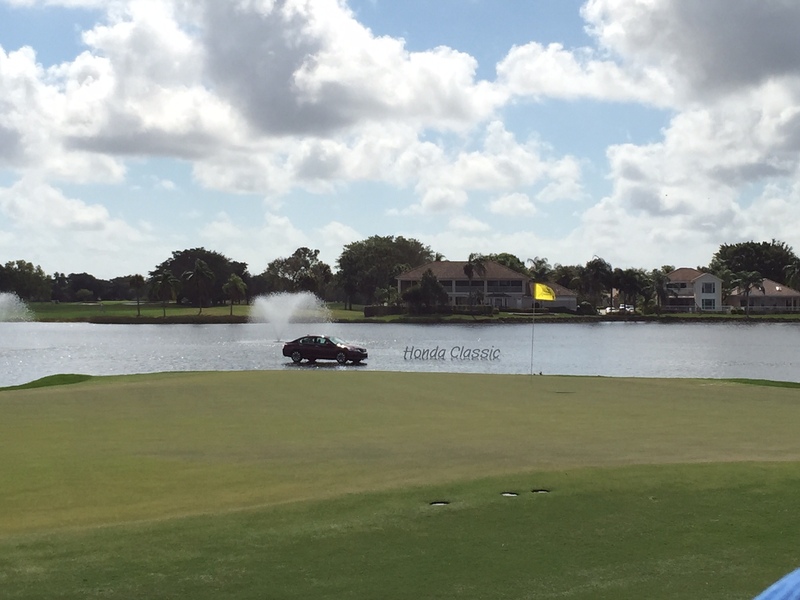 First of all, the Honda Classic took place over the weekend. 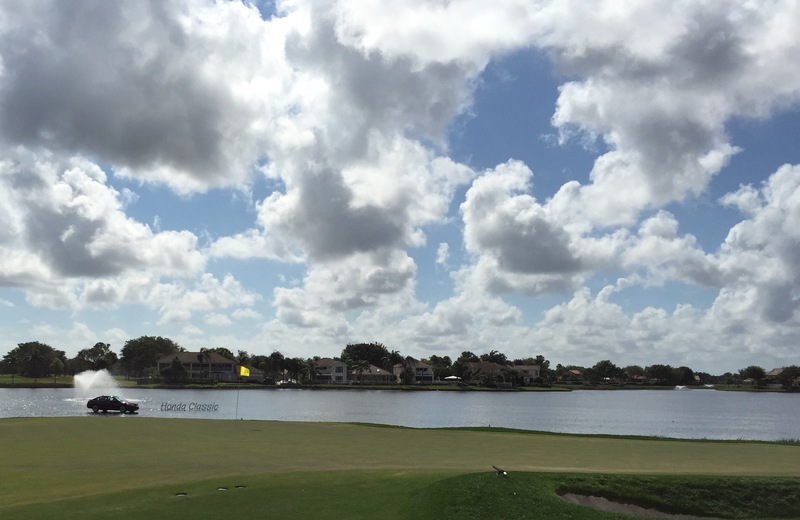 This event brings the world’s best PGA Tour golfers to (normally) sunny Palm Beach Gardens, Florida – but Saturday’s rains pushed Sunday’s starting times, and the tournament ran over into Monday. Guess what happens then… free golf! Monday’s golf was free to all attendees, and even free preferred parking! I managed to make it up to the PGA National Championship Course to catch Phil Mickelson finish his round, and then the thrilling Harrington-Benson playoff! PGA rules forbid photography and video recording during tournament play, but I managed to snap a couple photos of the 18th hole – gorgeous day, huh? Looks like that car is floating! And then to the food. 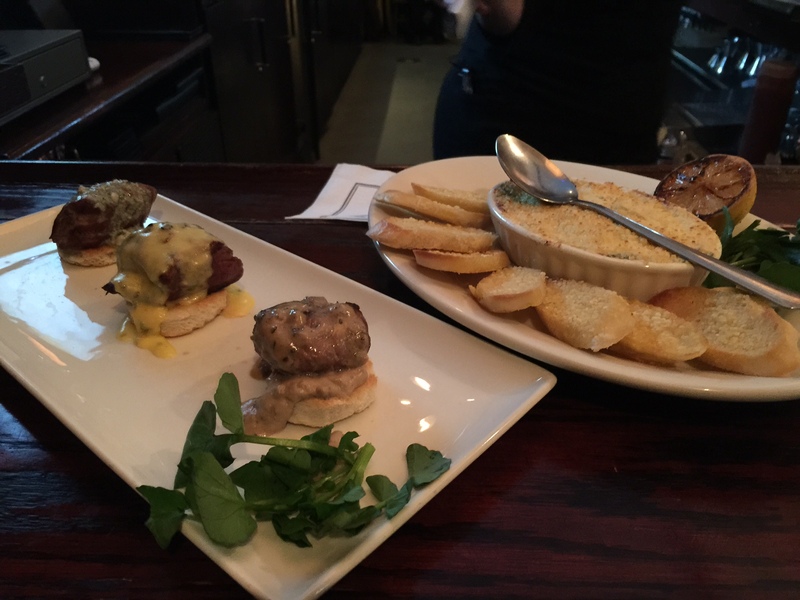 We decided on the Filet Mignon Trio, served with Sauce Au Poivre, Béarnaise and Blue Cheese Butter. Also the Crab, Spinach, & Artichoke Dip!